On Thursday night I went to a truly remarkable concert, part of the season of music and events which are going on every day in Santiago at the moment. 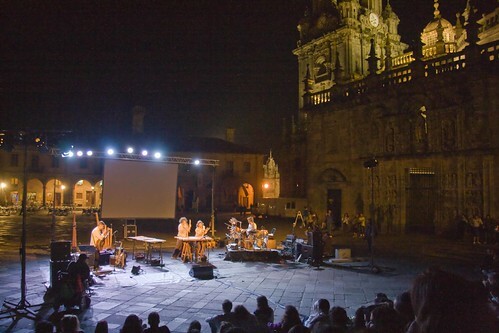 This concert was in the Plaza de Quintana, the main square at the back of the cathedral and in my opinion a much more pleasant space than the main square at the front. 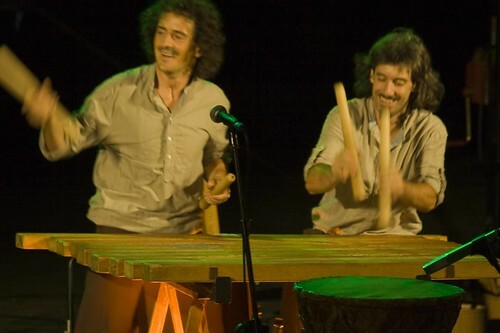 The Txalaparta is a Basque instrument, played by two people who act as one. 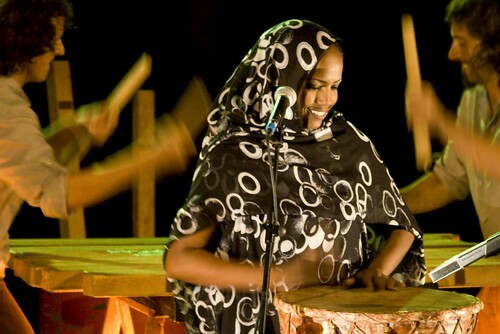 The instrument comes in a variety of forms, but in essence it's a large xylophone, played with wooden sticks and where the players play alternating notes (or alternating pairs, etc.). The players on this occasion were two of the most famous, Igor and Harkaitz, this time accompanied by Aziza Brahim a woman with a voice like the desert. 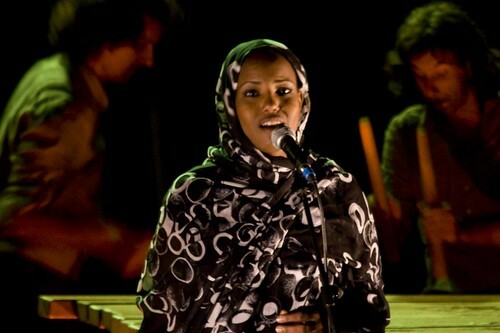 The speed at which the musicians play and the perfect synchronisation are truly remarkable and with the accompanying voice of Aziza Brahim and the setting with the cathedral to the right and the rising walls of the nunnery to the left it was a powerful evening. (bad quality due to high ISO, sorry). These guys seem to be touring most of the time and I'd highly recomment trying to see them if they're in town.